Now that Nomad the supermutant has left a seed of power in Jack, will his growing superpowers be enough to save his family and what’s left of post-apocalyptic London? 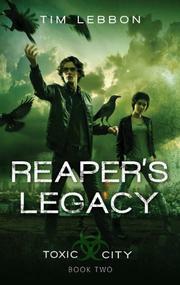 In a London devastated by the release of Evolve, a chemical that killed most of the population but gave amazing powers to the survivors, Jack, Jenna and Sparky try to find Jack’s father, the deadly mutant Reaper, in order to enlist his help in rescuing the rest of Jack’s family from the clutches of Miller and his Choppers. Meanwhile, Jack’s friend Lucy-Anne searches for her lost brother by trekking through the dangerous streets of the city with Rook, a troubled boy who can control flocks of birds. Jack unites the Irregulars (survivors with weaker powers) with the Superiors (his father’s powerful minions) in an assault on Camp H, the holding facility where mutants are dissected when captured by Miller. Will they succeed? And will all be destroyed if Lucy-Anne and Nomad meet? They’ve both dreamed destruction. As with the first in his post-apocalyptic, near-future series, Lebbon wastes some intriguing worldbuilding on superficial characters who have a near-total lack of discernible motivation. What could have been brainless fun is further hobbled by amorphous “powers” and logic-defying plot devices (the government’s fail-safe is a nuclear bomb under London? That’s going to save the country from the mutants? ).